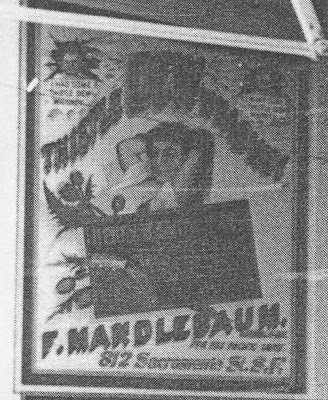 Recently, while "digging" up a bit more history on F. Mandlebaum, (also known as Francis and or Frank), and his Thistle Dew and Nabob brands, I stumbled across an article in a San Francisco newspaper. 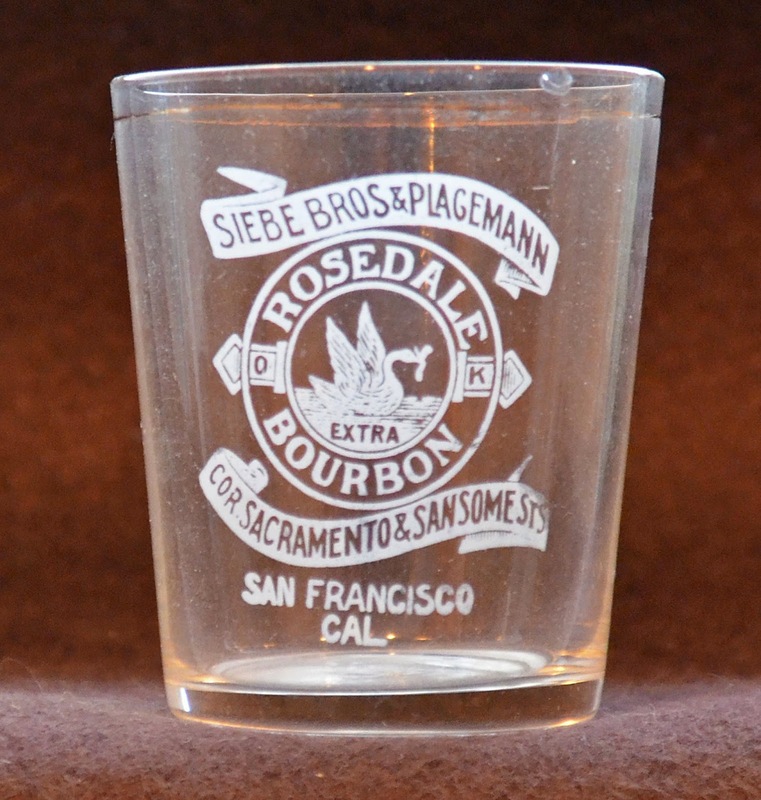 On April 29, 1887, Mandlebaum, along with a number of other liquor wholesalers endorsed an early closing movement in the Daily Alta California. The early closing movement's purpose was to shut down all of the liquor establishments at 2 PM on Saturdays. Why? My guess was an attempt to appease the growing temperance movement in the city. 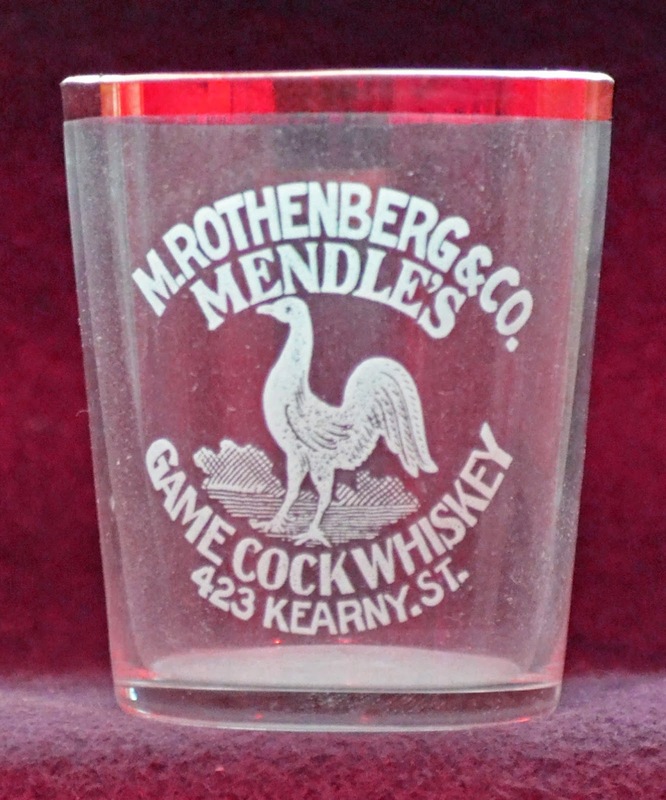 But here's what really caught my attention; the names on the endorsement were a veritable who's who of "big liquor" back in the day. 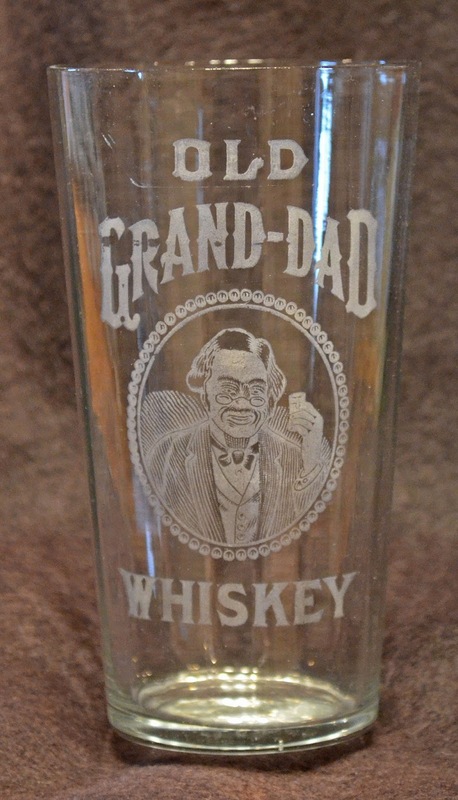 All of the above names are immortalized in glass. But what of the rest? Are there other embossed cylinders lurking in the shadows, with the names of the missing, just waiting to be discovered? It's a nice short word. It can be a noun; an act of shooting a gun, or an effort to do or accomplish something. It can also be a verb; to cause (a projectile) to be driven forward with force. Obviously, whomever wrote the above at Mirriam Webster, wasn't a western whiskey collector though. 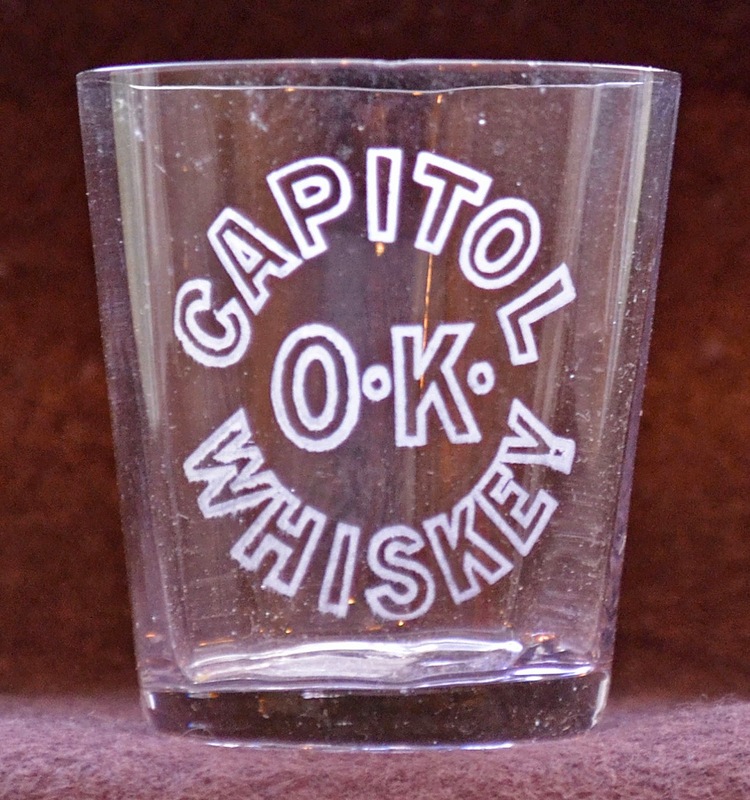 For me, the first thing that comes to mind when I hear the word is a little glass with etching on it that was used to measure or serve whiskey by the "shot". 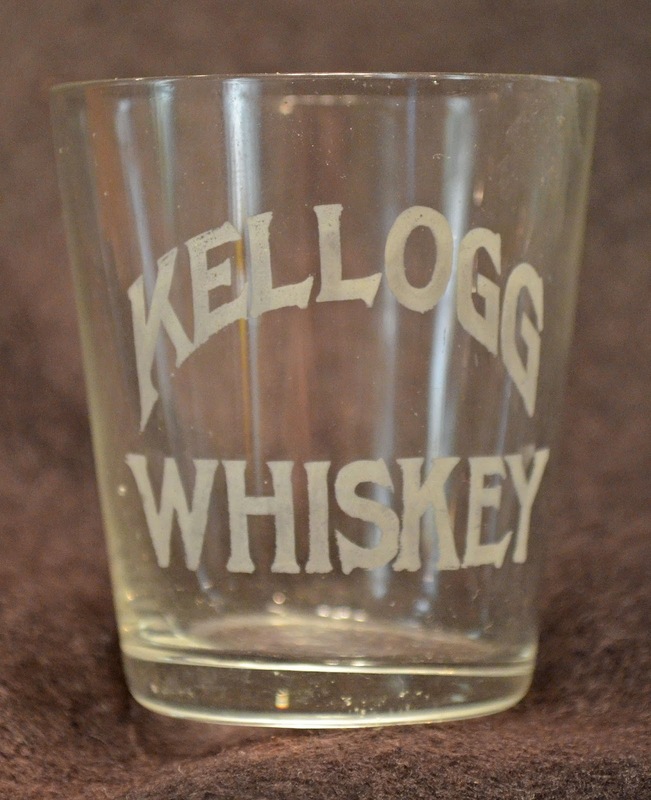 I guess technically, they're called a shot glass, but to me the word SHOT gets the message across just fine; short and sweet. 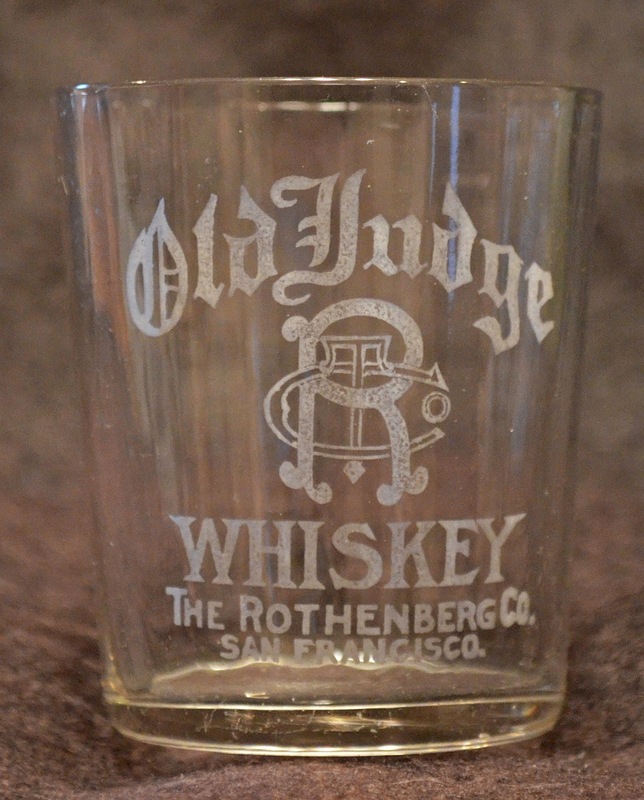 Something that many western whiskey collectors overlook are advertising shot glasses. They date, for the most part, to the early post turn of the century era; approximately 1900 through the mid teens. 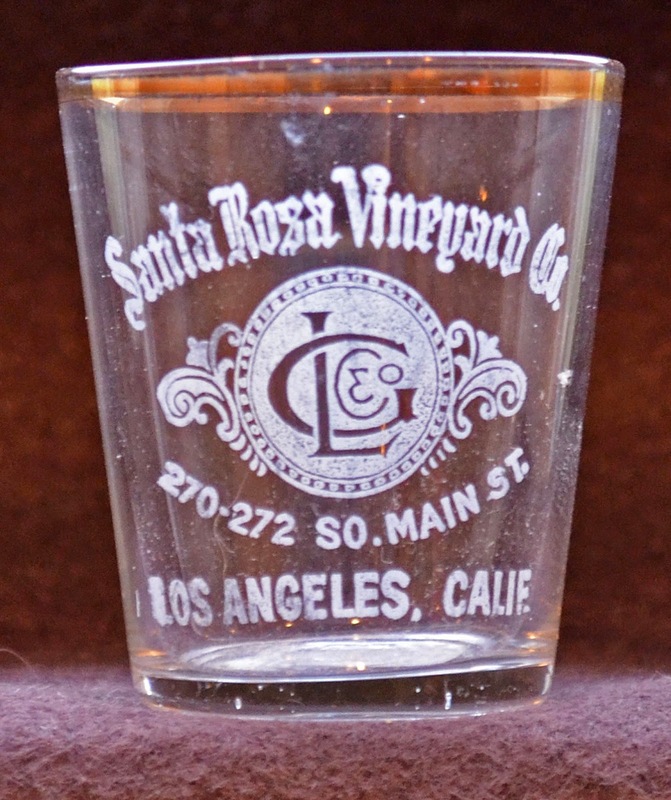 It's surprising how many different glasses exist, advertising both brands and liquor wholesalers from towns and cities, both large and small, all over the west coast. Although the actual process of production remains a mystery, it is believed that a rubber stencil was created in mirror image. The rubber stencil then had some type of medium applied to the pattern and this substance was transferred to the nearly paper thin glass. 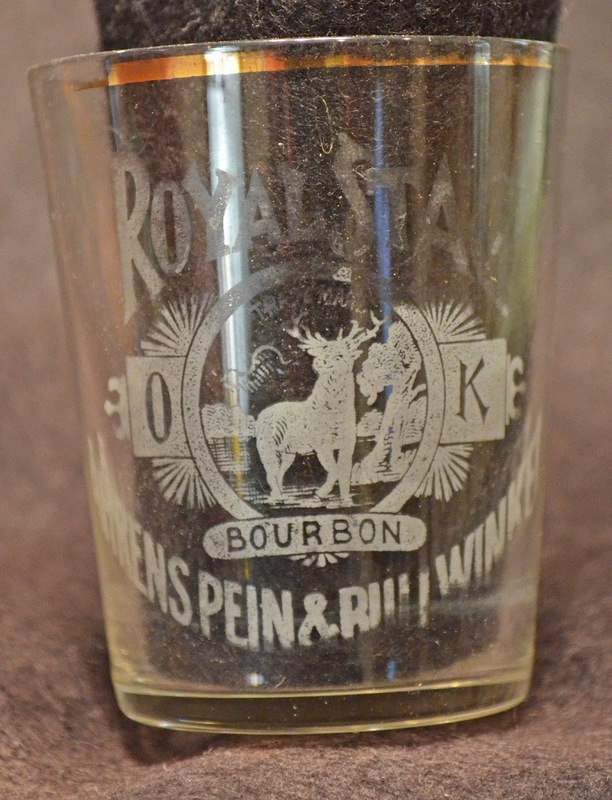 Once this medium was applied, powdered glass was dusted over the shot glass and the glass was then re-fired. The powdered glass adhered to (actually bonded with) the glass and the resulting effect was a semi durable reverse image of pattern of the rubber stencil. The mortality of the glasses is, not surprisingly, high. 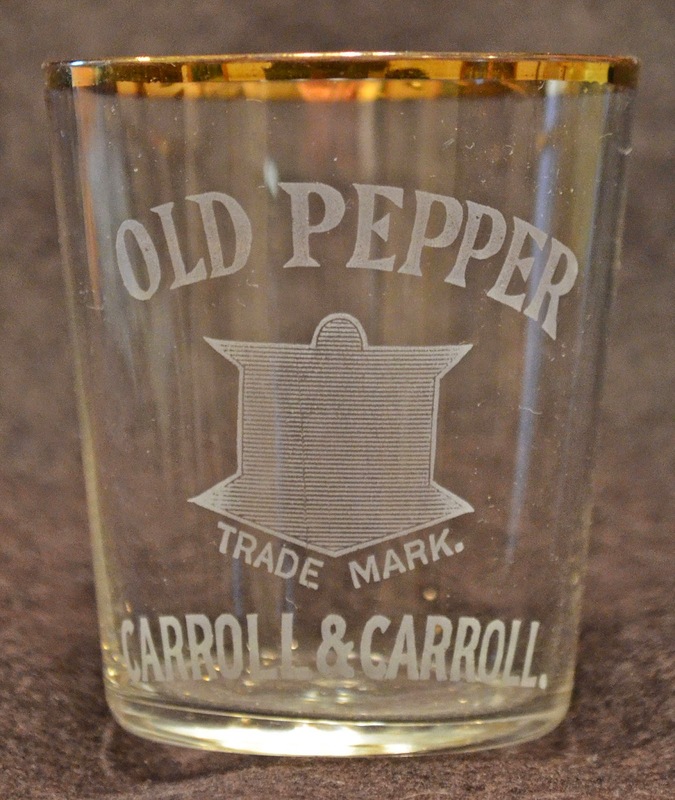 The glasses were meant to be a disposable advertising medium and the walls of the glass were typically about as thick as an eggshell. As such, all it took was a clank against another glass, or being popped down a bit too hard on the counter of the saloon, and into the trash went the pieces. 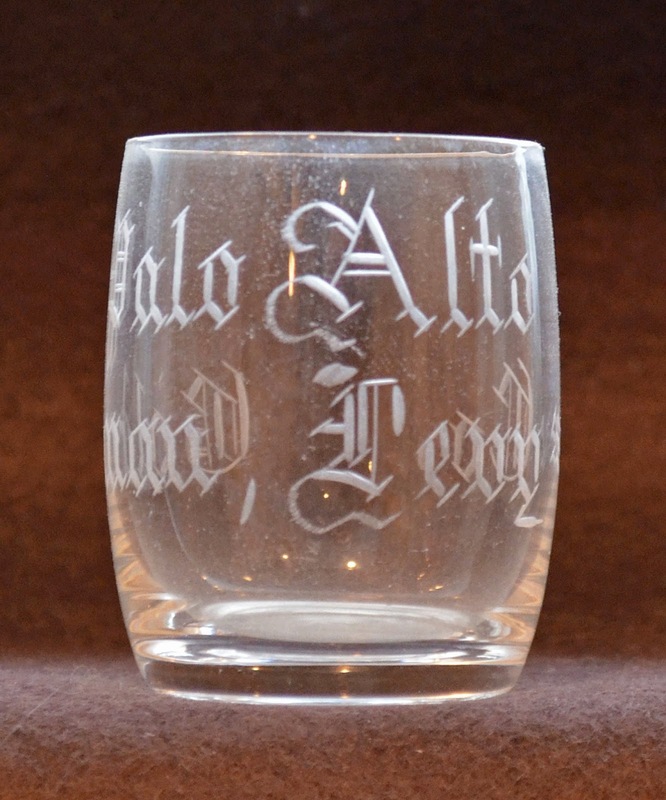 The glasses are typically about 2 1/2" tall and range in form from straight sided to tapered walls. Some of the walls are paneled (either outside or inside) while others are plain. The rims of glasses are seen, on occasion with a gold rim. 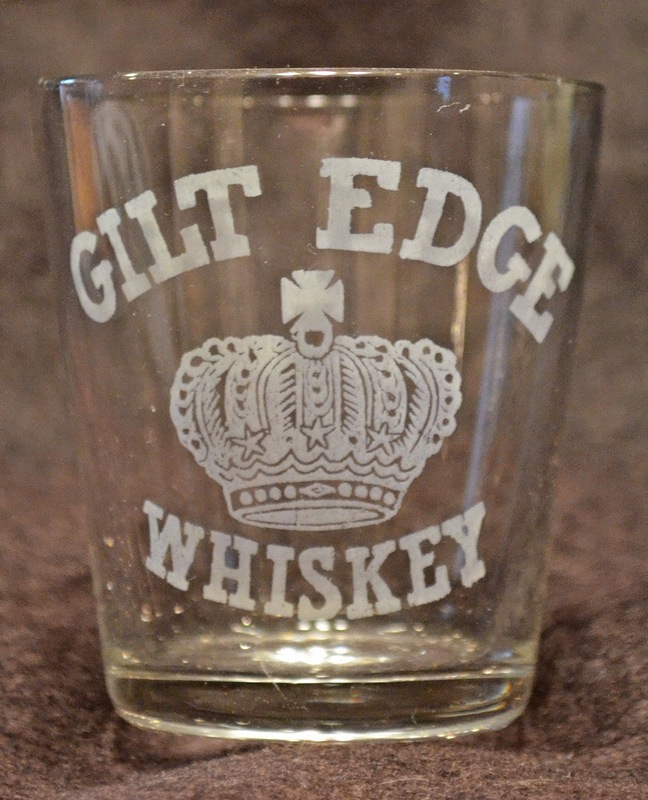 Some glass etch patterns are plain, simple and to the point, simply advertising a brand of whiskey. 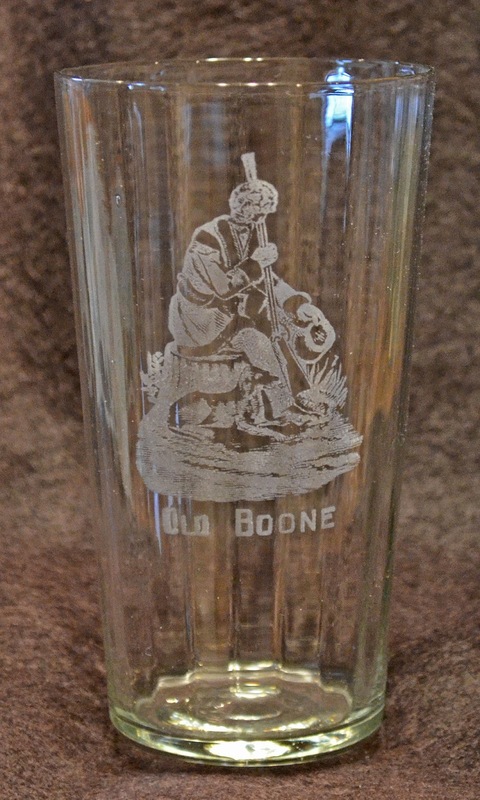 Others have both the brand and the company name and city, while some actually have all of the above plus ornate pictures on them. 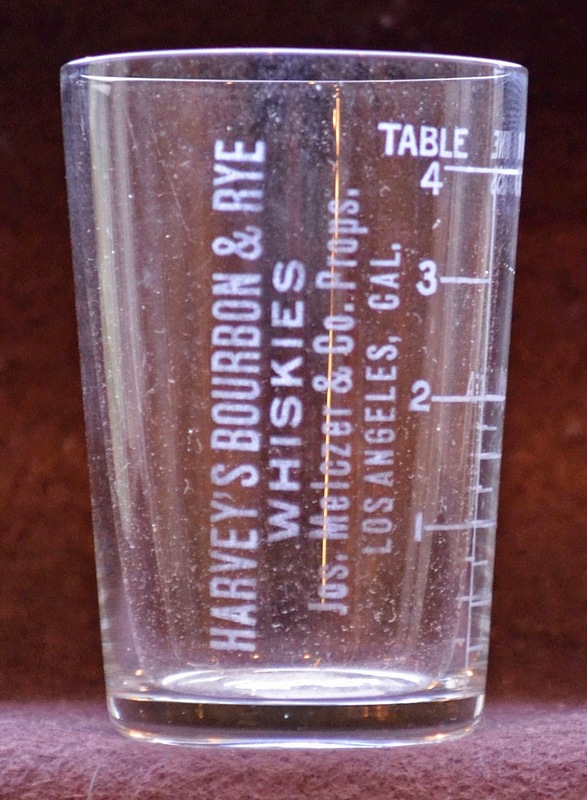 Most have "white frosted" labels, but a select few are enameled; much like the back bar bottles. 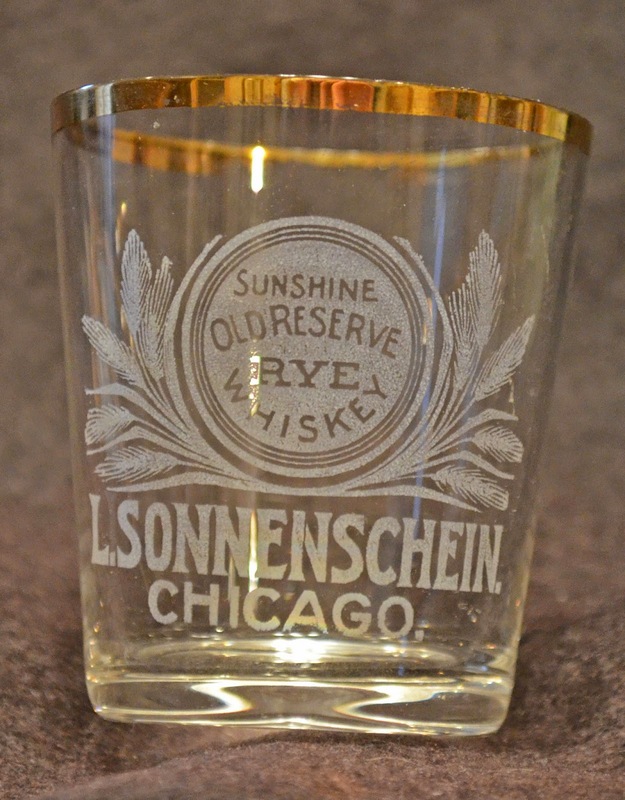 Enameled glasses are typically white, but on rare occasions one will encounter a multi colored enamel glass. They are both extremely rare and extremely valuable. 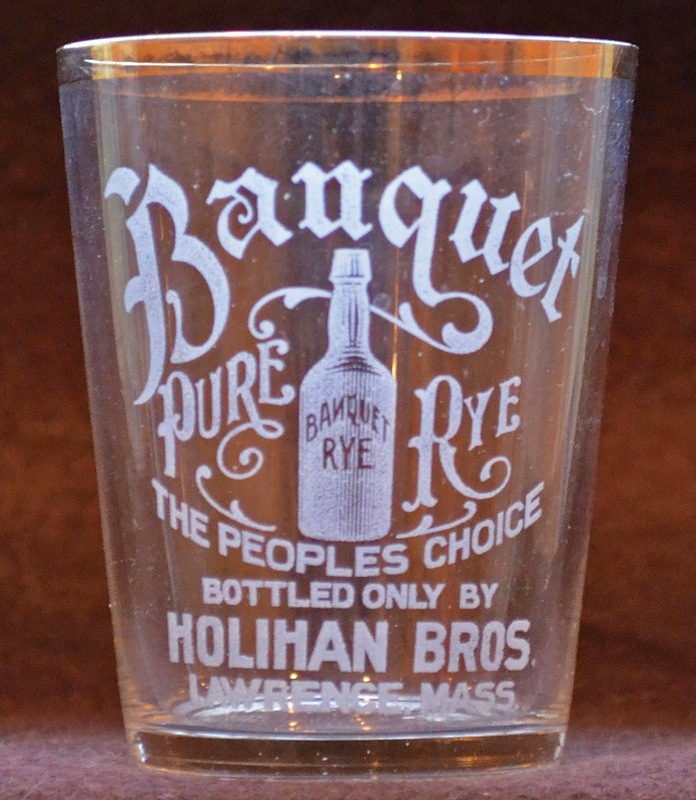 There's a lot to like about pre-pro shot glasses. They take up very little space on display, are great go withs to accompany the fifths, and are affordable when one considers the rarity. Personally I'm surprised that they haven't become more mainstream to western collectors. And yet, in retrospect, with the exception of the one I dug, I never paid much attention to them. That was until a few years ago. Fortunately, the competition has been almost non-existent and I've been able to acquire many, many tough glasses without having to invest a fortune. I look at the shots much as I did when I started amassing labeled and embossed fifths (before I got priced out of the "market"). They're rare, each one is unique, and I haven't needed to spend a fortune to build a great collection! 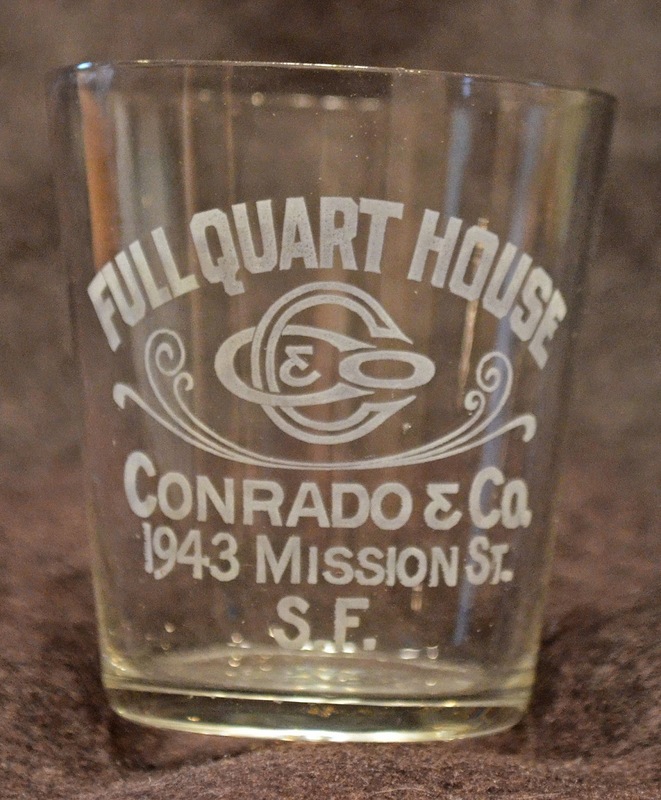 San Francisco had, arguably, the highest number of liquor wholesalers on the west coast. As such, a myriad of glasses were produced. 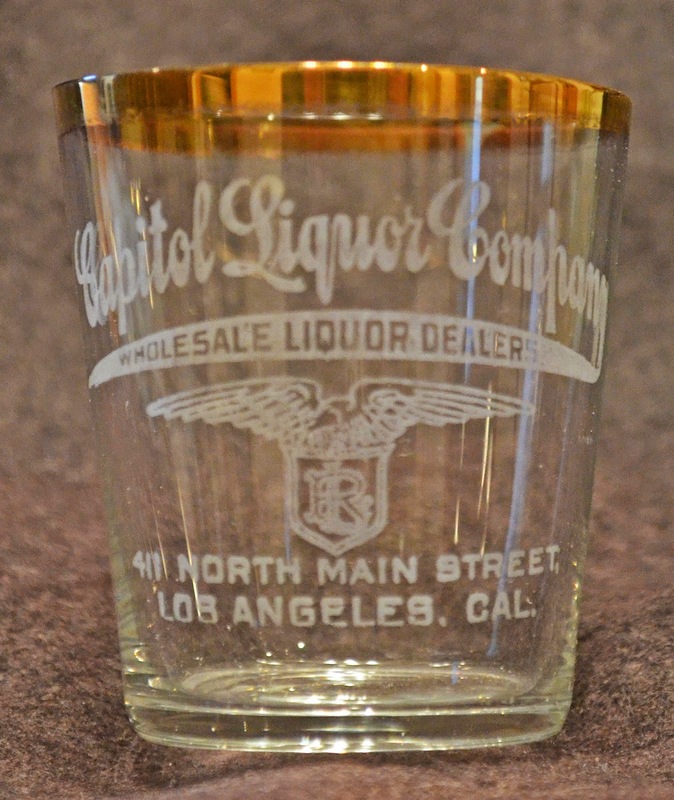 Los Angeles was hitting it's stride around the turn of the century, and a few glasses exist that were made for the So. Cal. liquor crowd. 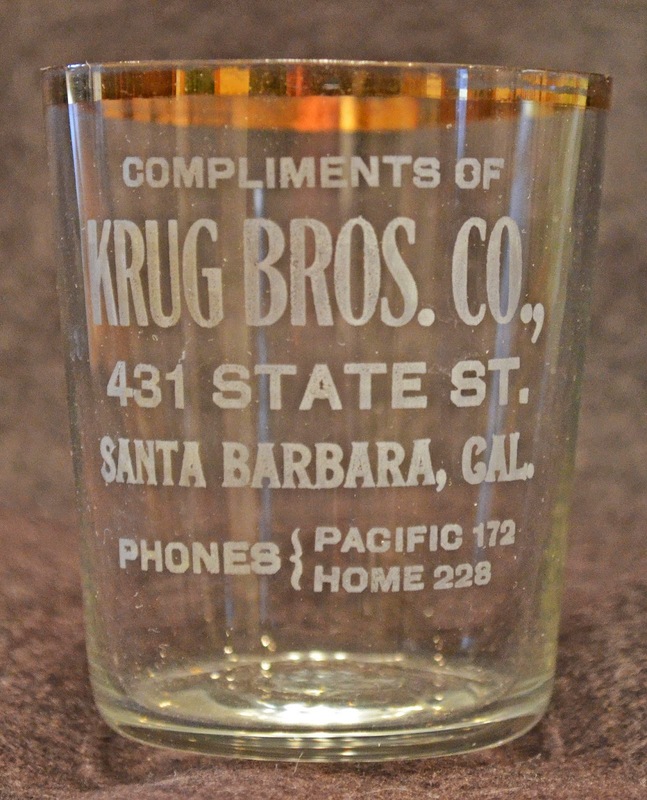 A number of glasses were produced for the dealers in smaller communities as well, such as Fresno, Santa Barbara, Anaheim, etc. etc. 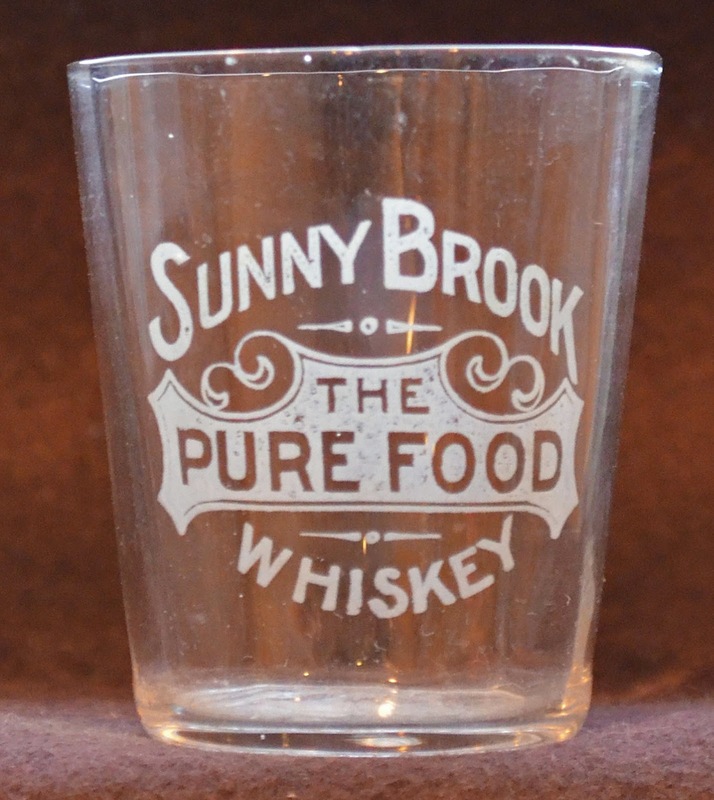 The east coast had far and away the most glasses produced for their thirsty customers. They are for the most part fairly common. 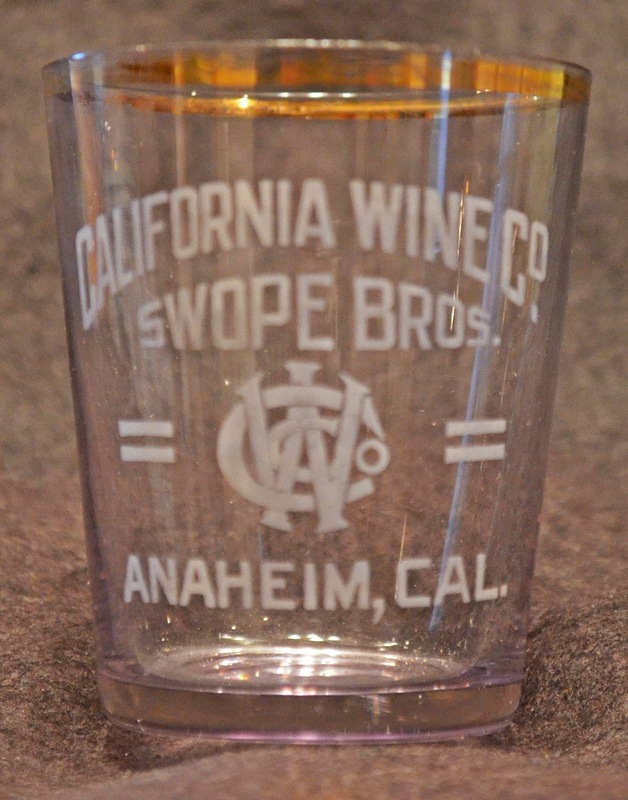 But a few exceptions do exist and the graphics on a select few rival even the most sought after of the west coast glasses. 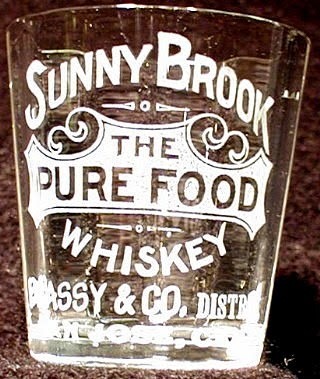 And of course, the east coast had it's "supersized" glasses as well. 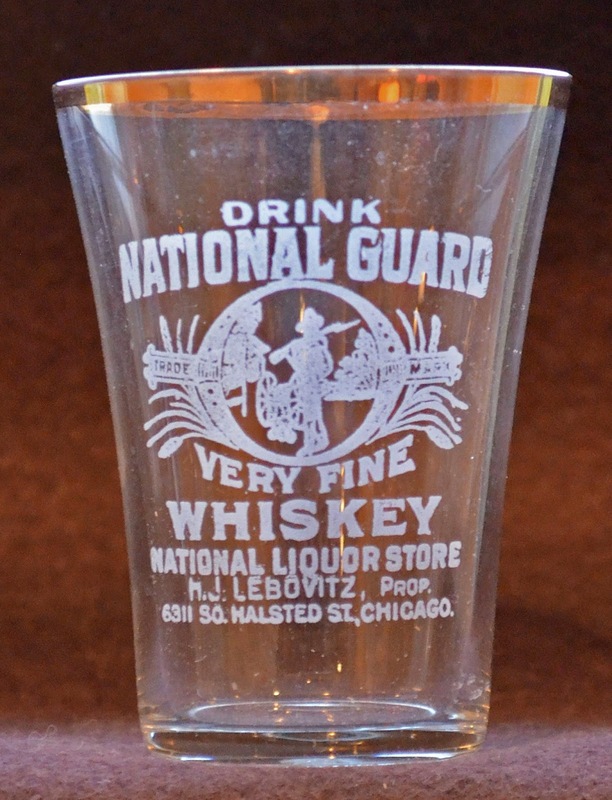 Occasioanlly we run across a glass that was created to do double duty. 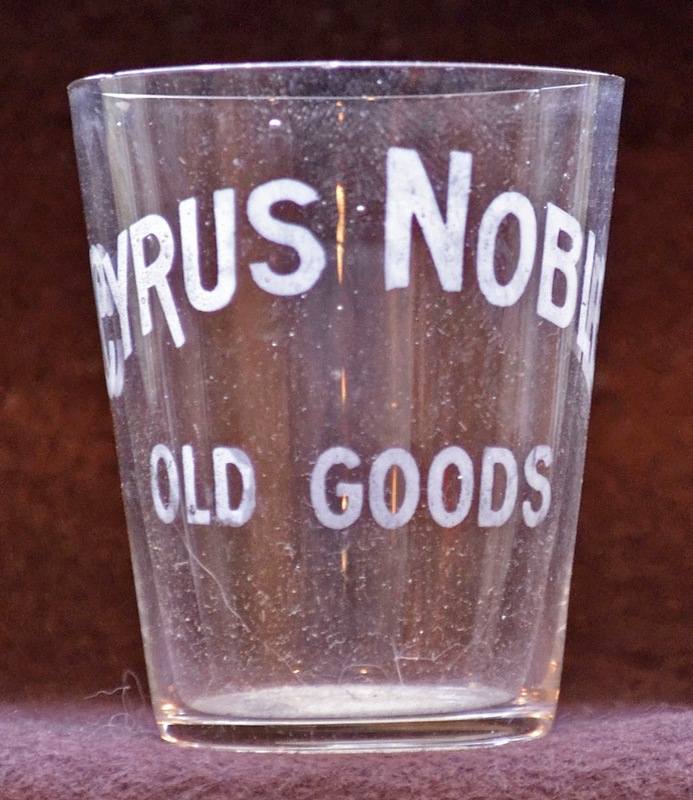 It's simply a glass that has a "stock" pattern which could be modified to reflect the proprietor of the brand as well, be it west or east coast. Such is the case with the following glass. 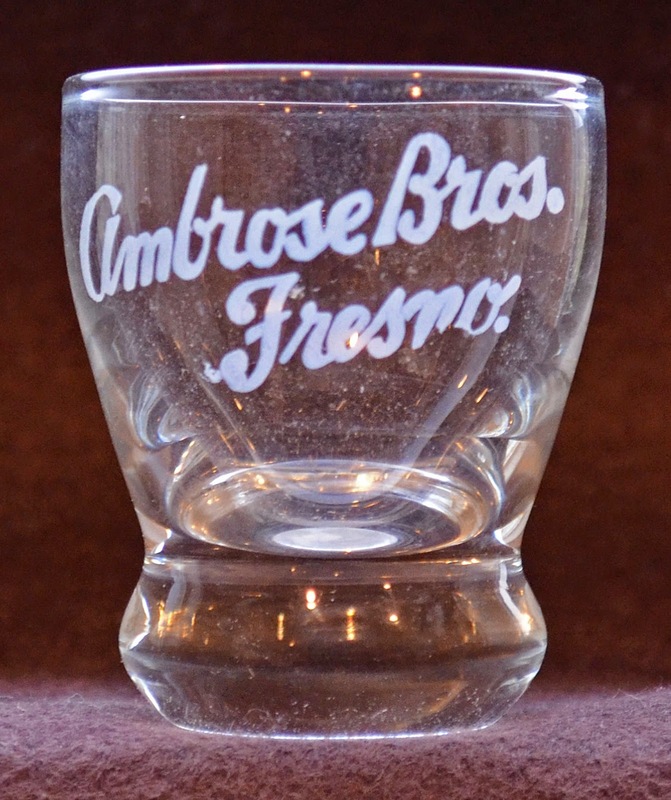 The top glass is the stock pattern, the bottom is an identical stencil with the addition of F. Brassy & Co. of San Jose Cal. ; a tough glass! And on rare occasions, we encounter a glass that was of presentation grade; copper wheel cut for the best of the best customers. I've only seen a couple of these wheel cut variants over the years. 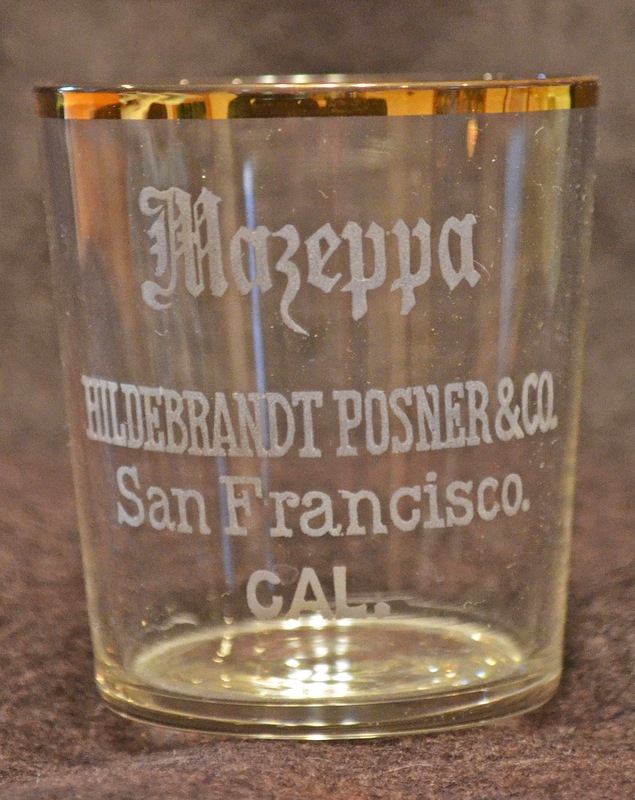 This one was produced for the firm of Goldman Levy & Co. of San Francisco. 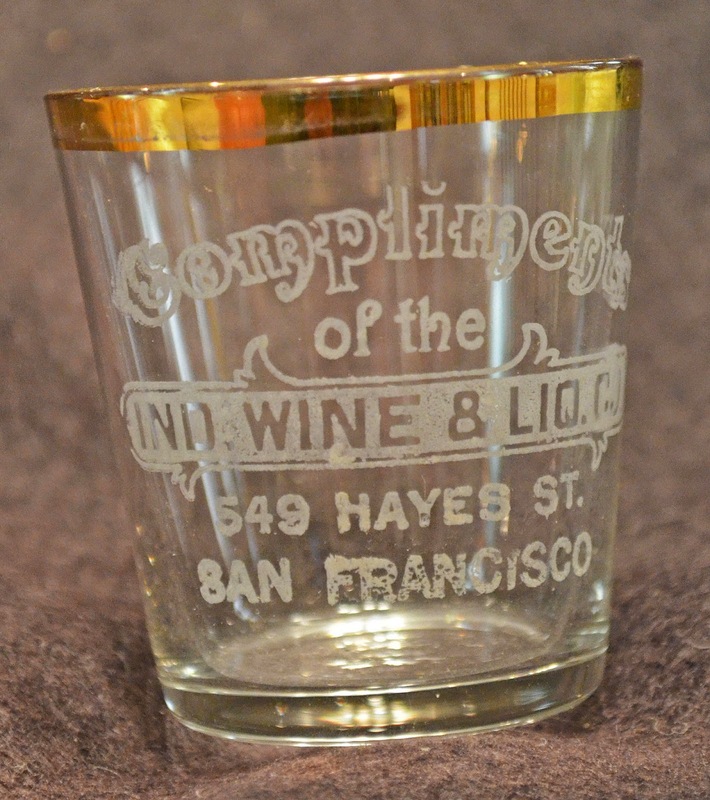 They were in business for just three short years, located at 211 Battery (1893-1894) and 209 Sansome (1895). 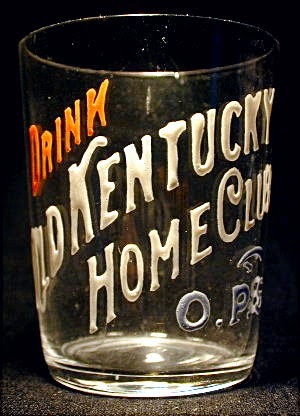 It is an early glass and is believed to be unique. In closing, you just gotta love these little gems. 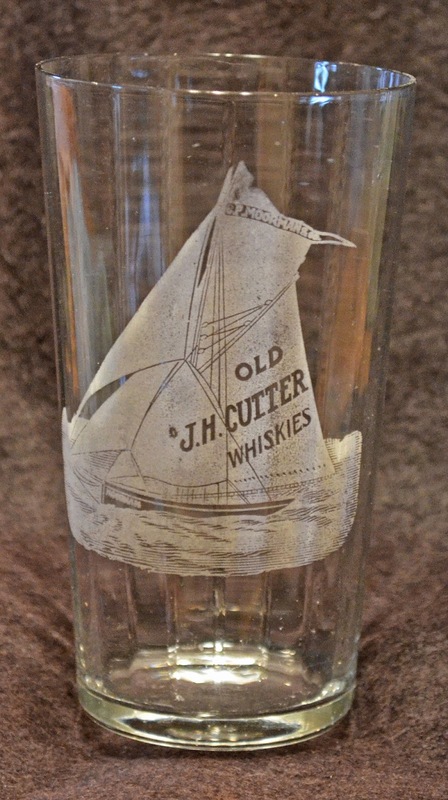 They have a ton going for them in terms of graphics, take up very little shelf space, and they are still "out there", lurking in the recesses of cases and cabinets in second hand stores, antique malls and junk shops. Happy Hunting! "My bottle came from my grandfather Dwight. Back in the summer of 1966 him and his wife and my father and mom camped out in Leadville for several months and dug up the area. When my Grandmother passed away no one wanted the bottle they had so me and my wife boxed it up. We have had it packed up for at least 10 years or so." He has opted to offer the flask for sale. Feel free to contact me and I can make arrangements to connect you with the owner. Jim Croce wrote "time in a bottle" in December 1970. The song, and Jim, both became instant hits. He was one of my favorites back in the day. Sadly, by the end of 1973, Jim Croce was gone. A short, but brilliant, career in the spotlight. 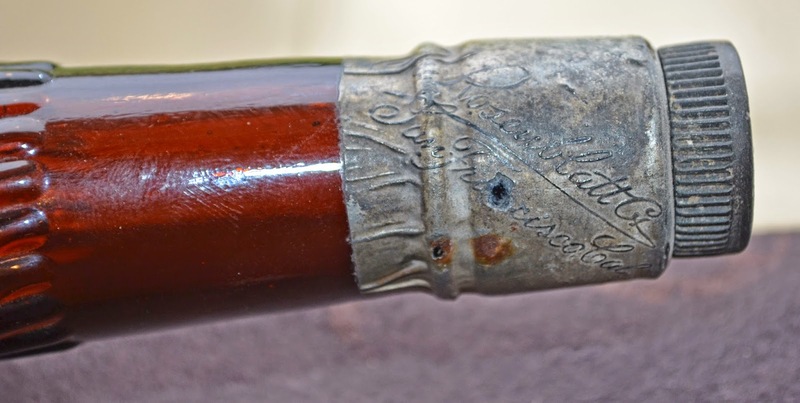 As so often happens, I'm called on to help locate this bottle or that by fellow collectors. Recently, I was asked to help fill a spot on someones wish list. He was after a bottle to replace one (well actually several) that he'd lost in the recent Napa Earthquake. Most of the pieces that he needed were comparatively easy to locate and obtain. But one proved to be as elusive as a pair of lips on a chicken. 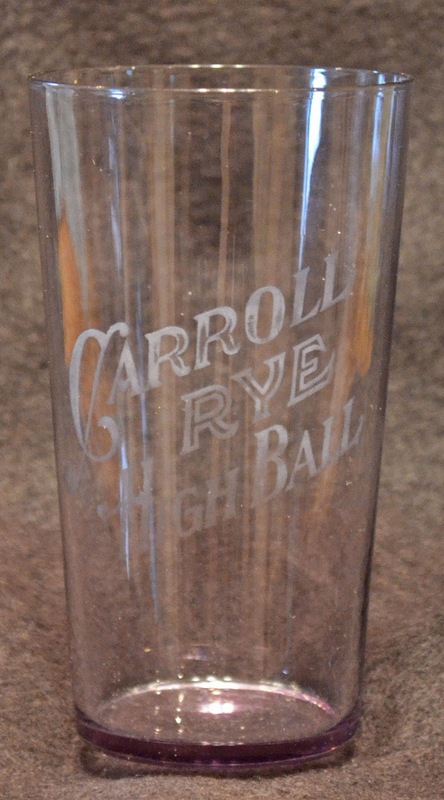 I'd sold one example many years ago, but the collector, who still had the bottle, wasn't interested in letting it go. I turned on my radar, but came up blank. I touched base with any and everyone that I thought could help. Nada. I recall seeing this bottle for the first time in John Howe's collection when I made the pilgrimage to his place with Dale Hoyt and Dave McLeod in the sixties. John was mighty proud of it and called it extremely rare. 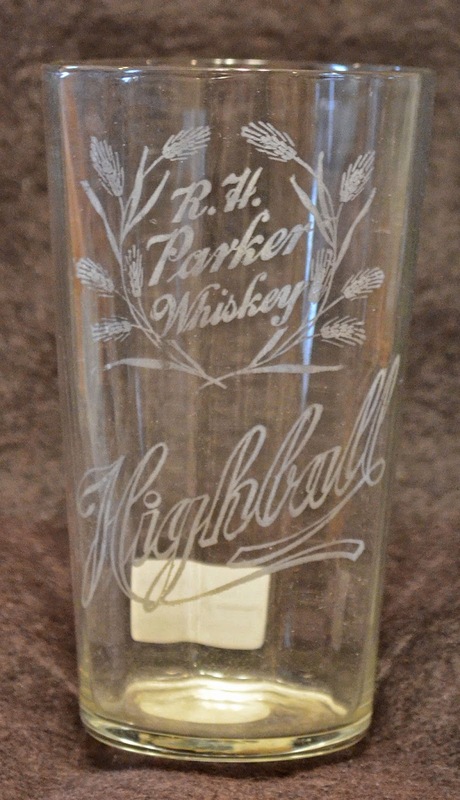 Bill Wilson and Bob Barnett also documented the existence of this bottle; Wilson's example shown on page 32, was different than John's though. It still had the neck foil, but no stopper. Bill listed it as very scarce. But, was it really western? No name, no city, no base mark; just Big Seven... Labels are a wealth of info but alas, no bill heads or labels were known to exist. 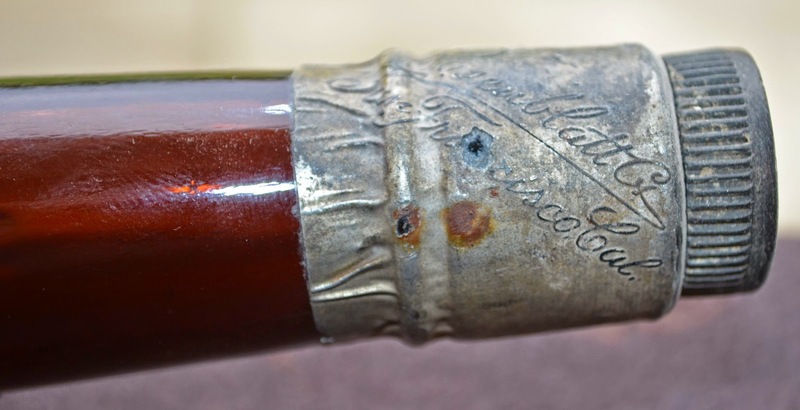 Johns bottle had an ebonite stopper in the inside thread closure, but it was plain. No help there. 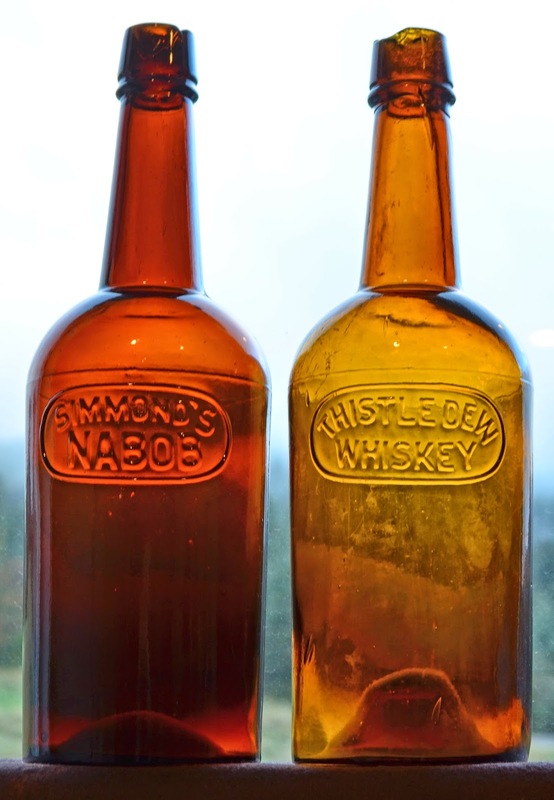 Bob dated the bottle from 1908 only; as did Bill Wilson. But a tour through the directories of both 1907 and 1908 came up blank. Ditto for the Pacific Wine and Spirits Review. No mention whatsoever about Big Seven & or Liquid Food. I had no success in finding an example to acquire for several weeks. Finally, I located one. The seller was mighty proud of the bottle, as so they should be, (best I can tell there's comparatively very few in collections). But no, not for sale. A trade was in order. When the dust settled, he had a number of better tool tops, and I had the Big Seven. It's an outstanding example with a number of huge bubbles and a notably crisp and bold strike. It also has a hard rubber stopper; with a star pattern... No help there. Western? Mid western? Eastern? The jury was still out. A few days ago, lightning struck again. I got an email from a friend of a friend, who had inherited an elderly relatives collection. 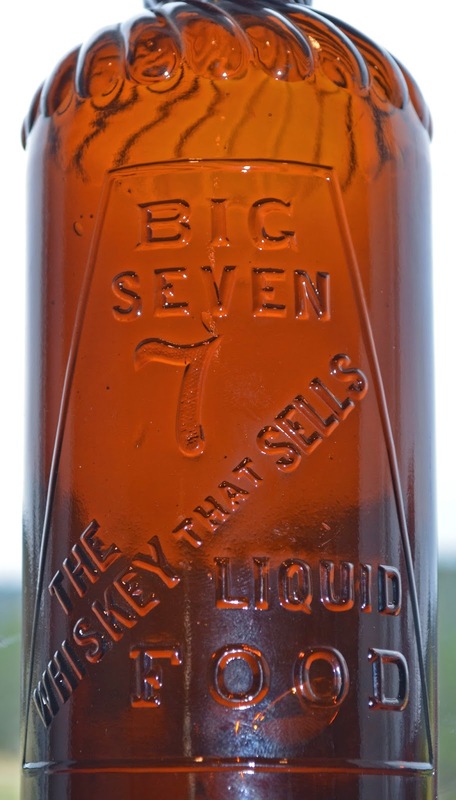 Yep, there was a Big Seven in the collection. Yep, he'd sell it! Nope, no label; but it did have this metallic stuff on the top! Strange coincidence? I thought not. The lost Wilson example? Well look what the cat drug in I thought, as I unwrapped it. There, boldly stamped into the lead foil neck seal was the name of the company! Yep, San Francisco indeed. The Rosenblatt Co. / San Francisco Cal. Mystery Solved! 1908? 1900? We may never know. But like Jim Croce, it too, had a short run.